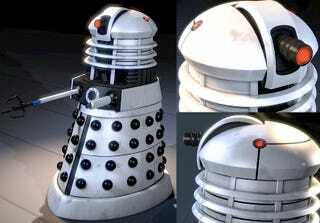 Is there anything in the universe more frightening than a Dalek who is obsessed with nonexistent pastries? Of course not. Behold the shiny metal veneer of your ultimate nightmare — click on the lower-right corner above for further tremble-worthy detail.